Nylon heels in black. Gathering throughout. Pointed toe. 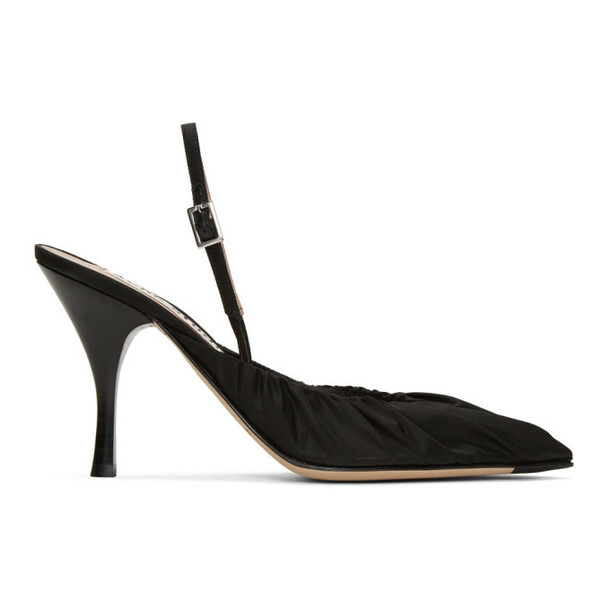 Adjustable slingback strap with pin-buckle fastening. Logo patch at pink leather footbed. Covered stiletto heel. Leather sole in beige. Silver-tone hardware. Approx. 3.5" heel.